If you read this blog regularly then you know that CoolerMaster recently sent be a bunch of stuff to use in my articles. 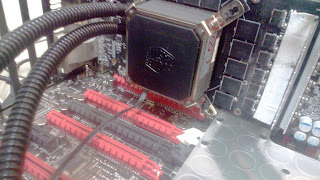 They sent me a V1000 series power supply which saved me a couple days ago when my Antec HCP died. Originally the PSU was supposed to go into my Haswell system which be used for RAM and GPU reviews. However now it literally powers this entire blog. They sent me 6 case fans to review. These are 4 Silencio fans and 2 Jetflow fans. They sent me a Seidon 120V version 2. I have 2 Seidon 120Vs version 1. They are fine coolers they sit on my GTX 590 and work just fine. However the 2400RPM Thrustmaster fans on them are really really loud. The version 2 uses a high RPM version of the Silencio fan and is so very quiet. However that's not why I'm writing this post. That would be boring. It is the most versatile and easiest to mount AIO out there as far as I'm concerned. It has an incredibly simple mounting system for both intel and AMD CPUs and the intel pump bracket also makes it incredibly simple to ziptie onto GPUs. More importantly it's also pretty good at cooling. 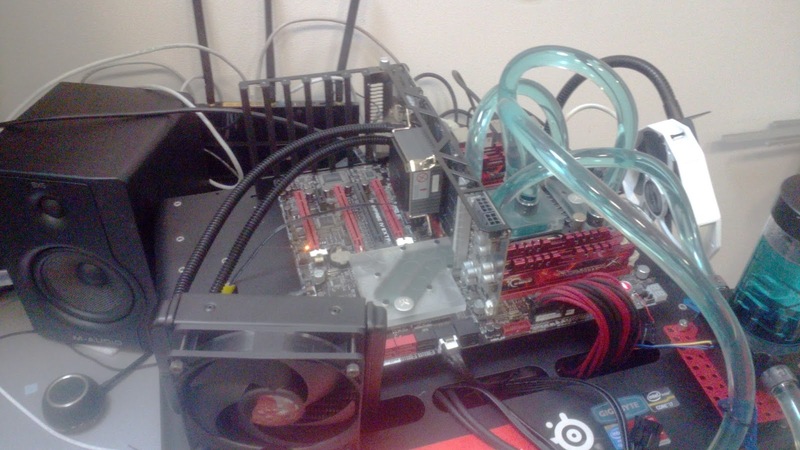 For example it kept my R9 290X at 60C°(30C­° less than the stock Windforce cooler) even though I was running at +200mv and which is 1.4V core and 1190mhz. At that point the card uses way more than 400W. Right now as I write this article I still have the Seidon attached to my 290X. The only down side to doing this is that the VRAM on my R9 290X gets really hot and so the card crashes shortly after starting Unigine because I ran out of VRAM heatsinks to use and the VRAM overheats. This is just a prototype of the mod once I get some better thermal pads and VRAM heatsinks I will finalize the design to the point where I can run 1200mhz core all day every day. I will also put out a video guide on how to do the mod. 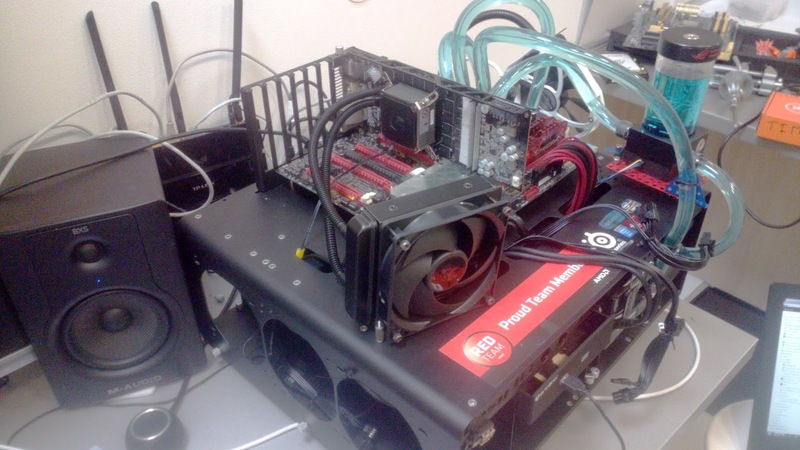 Thank you to CoolerMaster for powering this blog .